When topped-up to the maximum level, you may top up again and start a new level. All refilling channels can participate this event. 1 ID can refill and exchange the item without limits (unlimited) during the promotion. You can refill and collect points until the event ends. All Costumes listed can only be obtained from this promotion. 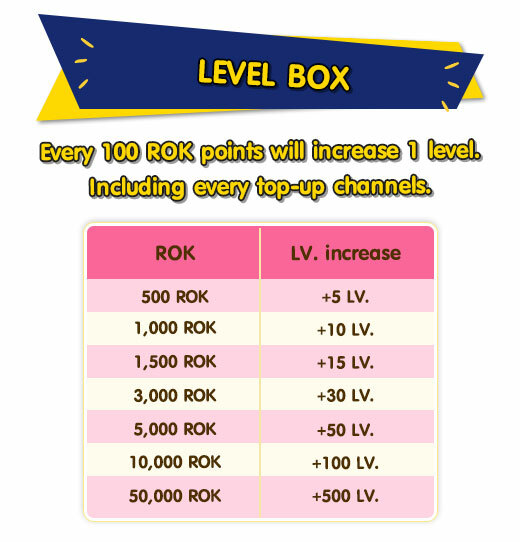 Rewards for Ranking - You may use your level instead of money. The company reserves the right to change terms and conditions at any time without prior notice. This promotion can coincide with other promotions (e.g. First Refill, Bonus item for every 1k ExCash Top-up, etc).